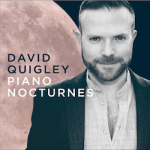 Award winning Irish pianist David Quigley enjoys a wide and varied career as a recitalist, concerto soloist and chamber musician. He has performed in many of the world’s greatest concert halls including the Philharmonie Köln, Concertgebouw Amsterdam, Symphony Hall Birmingham, Musikverein Vienna, Mozarteum Salzburg, Palais des Beaux-Arts Brussels, National Concert Hall Athens, Wigmore Hall London, Konserthaus Stockholm and Carnegie Hall New York. David is also a much sought after chamber musician and performs regularly with internationally renowned artists including oboist Nicholas Daniel, clarinettist Michael Collins, violinist Nathaniel Vallois and soprano Ailish Tynan. He performs regularly with his sister, the violinist Joanne Quigley in both duo recitals and in trio recitals with cellist Jonathan Aasgaard. Born in Ireland in 1977, David began his musical studies at the age of four. He attended the Leinster School of Music, Dublin, studying with the renowned Irish teacher Mabel Swainson. In 1996 he entered Birmingham Conservatoire where he worked with the pianist/composer Philip Martin, graduating in July 2000 with a first class honours degree and the Principal’s Prize. As a result of winning the Joseph Weingarten Scholarship, David continued his studies at the Franz Liszt Academy, Budapest, with Balázs Szokolay and later with Brigette Engerer at the Paris Conservatoire. In 2002, David was selected as the UK’s representative for the European Concert Hall Organisation’s Rising Stars series resulting in critically acclaimed debut recitals throughout Europe and the USA. His many national and international competition successes include winner of the inaugural Clandeboye Young Musician of the Year Competiton, the Royal Over-Seas League Piano Competition, the Ulster Bank Music Foundation Award, the Carnwath Scholarship and silver medal from the Worshipful Company of Musicians London. 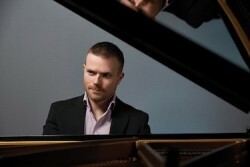 He is also a former finalist of the RTÉ Young Musician of the Future Competition and the B.B.C. Young Musician of the Year Competition. He has been awarded major scholarships from the Martin Musical Trust, Musicians Benevolent Fund, the Myra Hess Trust, Northern Ireland Arts Council and the Wingate Foundation and he is a former winner of the Making Music Young Artist Award. David’s discography includes Piano Music From Northern Ireland (Lontano records), Saint-Saëns Carnival Of The Animals with Jeremy Young and the Lancashire Sinfonietta, Rediscoveries: Old and New music of Ireland (Ischia Records) with his sister Joanne Quigley, Piano Music by Philip Hammond (Lontano records) and Piano Classics (El Greco Records). He broadcasts extensively on both radio and television for the BBC, RTÉ, Classic FM, RTÉ Lyric FM and Dutch Radio 4. Recent performing highlights include a multi-city solo recital and masterclass tour of China and chamber music recitals at the National Concert Hall Dublin, Barber Institute Birmingham and RNCM Concert Hall Manchester. David Quigley has no upcoming tour dates. Please check back soon.